Foster, age 14, has quite a story to tell! 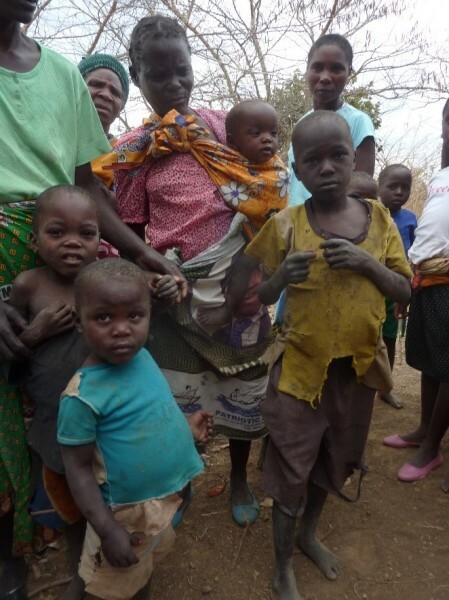 When we returned to Flushununu village, I asked some youth how our lessons have helped them. Foster was eager to share, "Since my parents came to your programs a few months ago, my father has stopped beating my mom and I have never seen him drinking again. He would always come home late and they would argue all night and it always ended up with my mom crying after being beaten up by him. I was always scared with what was happening in our family and I thought there was no hope for us and that we would always be like that. But luckily, I saw that they both came to the lessons here and since that day I knew that something definetely change. My father now works hard to pay for school fees for us and provide us with all our needs at home. I do not know what they were taught in those lessons, but I assure you, it was life-changing. We now live a happy life that I always dreamt of. I am so thankful to God for sending this team here to deliver the wonderful news. Even myself, I learnt so much about the 'Forgiving Father' lesson and I understand what that story is all about. I am happy to know that God loves us and c ares for us all. Thank God for this ministry." Some of their children before. 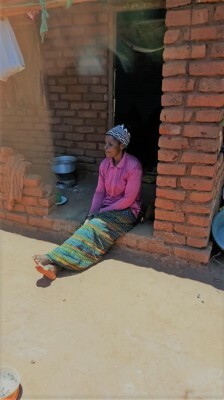 Mary Hara, mother of 9, was about to leave her husband, Makhumbo and her 9 children because Makhumbo drinks every day and was not providing for the family. Mary was unable to do it by herself. Often they would have nothing to eat. 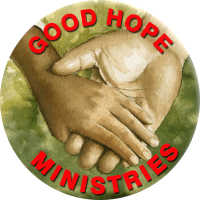 Then Good Hope came "to town". Makhumbo decided to attend the lessons and as he heard the messages was convicted in his heart of his wrong doing. The next day Makhumbo came to our teachings again. This time he heard the lesson of the "Forgiving Father". God touched his heart and he silently receives Jesus christ as his personal Lord and Savior. Since that day (now 3 months ago) he has stopped drinking and is buying food and clothing for his family. The whole community is amazed to see the change in Makhumbo. Mary gives thanks and praise to God for saving her family. 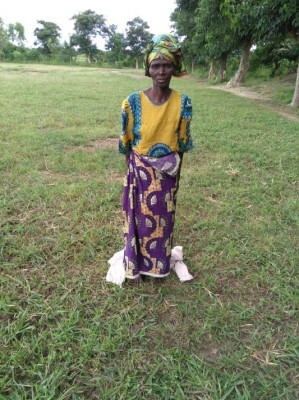 Nya Banda, with tears streaming down her face tells us, "I was a witch doctor. I only came to your program to get a free lunch. When I arrived, the food was not ready yet and so I attended your teachings while I was waiting. Your lessons were very powerful and so I came back in the evening to watch the 'JESUS' film. I was quite touched as I saw what was happening to Jesus in the film. So I came back again the next day. As I heard your teaching I was convicted in my heart of my wrong doing and received Jesus Christ to be my personal Savior. My life is totally changed....."
God's word is spreading fast! Rose unknowns to her, married a Muslim. After years of abuse she left him and started her own business. 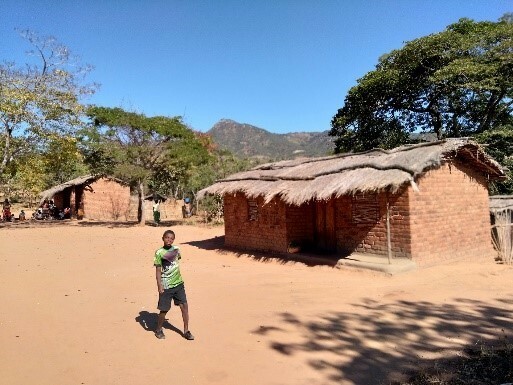 In Dec. 2016, Good Hope came to her village in Mkazimasika. She was so touched with the lessons that the following day she came to ask, "How can I get saved?" I taught her and gave her a copy of our 'Great Bible Lessons' book to study. She tells us, "After one month of studying, I made the decision to follow Christ. I was filled with such joy that I wanted to share this joy I had found in Christ with others. So I started teaching my friends. However, this did not go well with my pastor. He was angry with me and chased me out of his church." She then called us at Good Hope, "What should I do?" We told her that, "This does not affect your relationship with God. If you want to teach others, start up a Bible study group." Since then, Rose has started 7 bible study groups and travels distances up to 15 kms telling people the truth about salvation. Others are calling her, "We heard about your lessons, please come to our village and teach us too." Rose continues, "My aim is to open more groups. If we can open more the truth will spread faster in this area." Rose sitting in front of her house.